I spent the second day outside the city, to the southwest. My primary destination and first stop for the day was Hōryū-ji, a temple founded in 607. 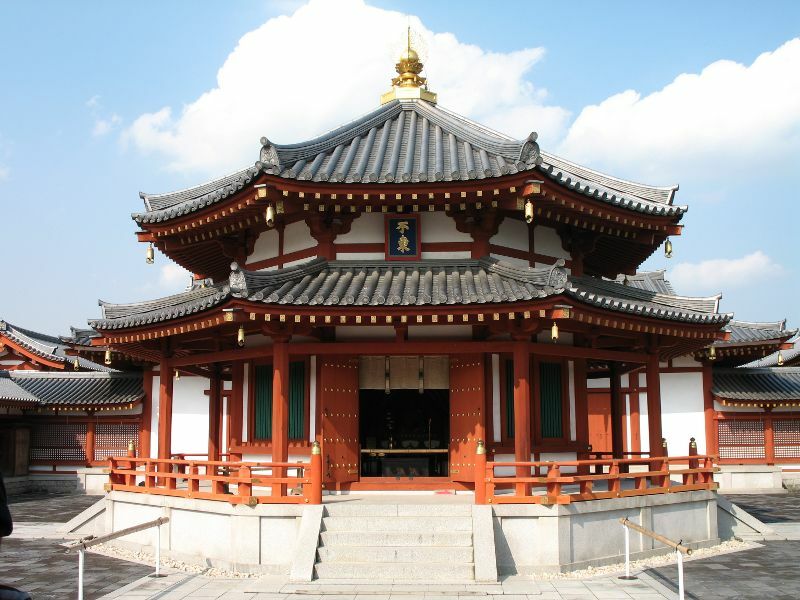 A fire is said to have leveled Hōryū-ji in 670, but even so, the complex contains the longest-standing wooden buildings in the world. 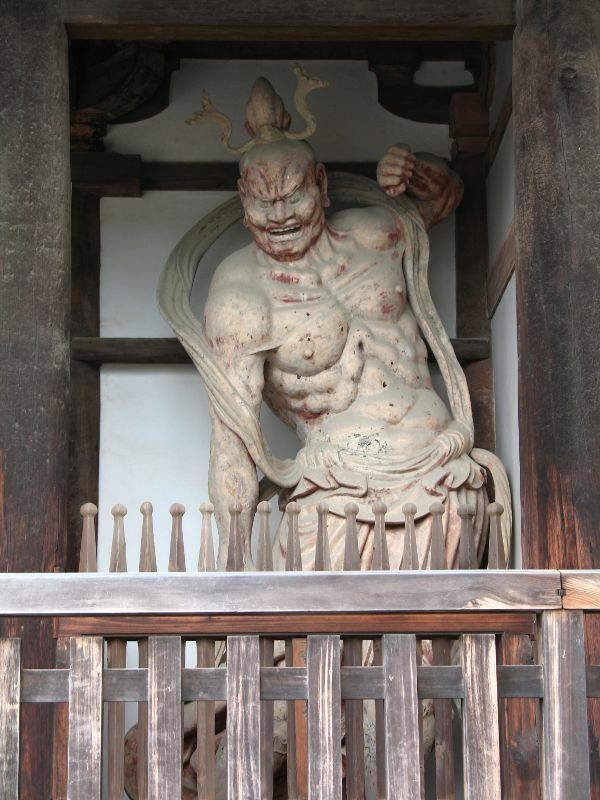 And while they’re around a century younger than the temple itself, the gate guardians are the oldest in Japan. 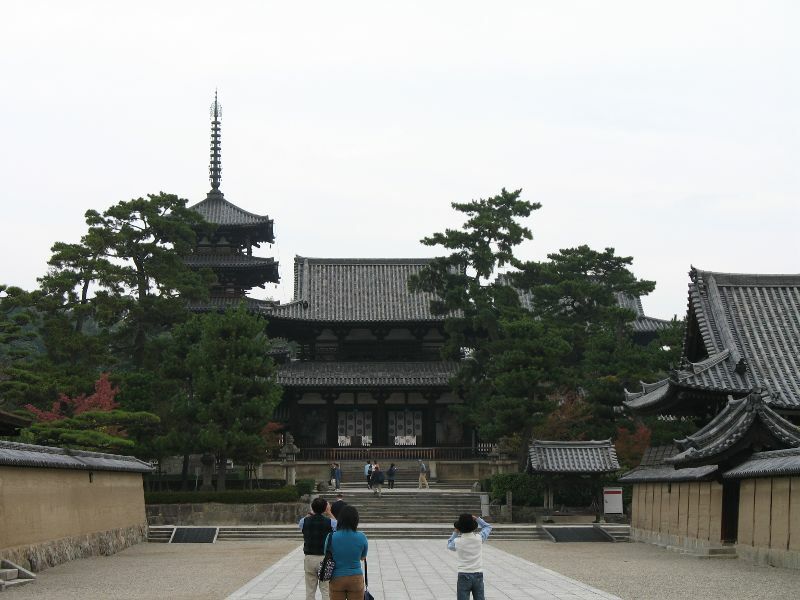 From Hōryū-ji, I moved on to Yakushi-ji, a temple located just within Nara’s city limits, which is still a mile or two outside of the city proper. 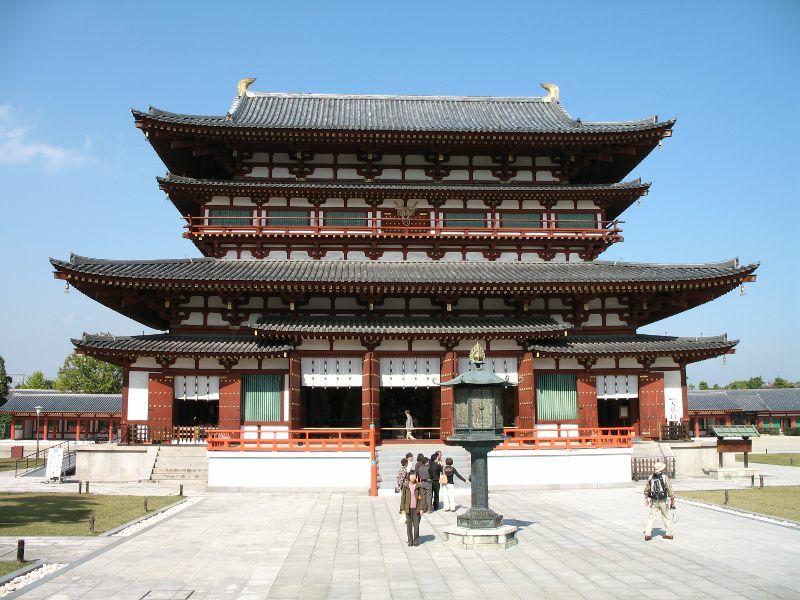 Yakushi-ji was established in 680 and moved to its present location in 718. Over the years, nearly all of its buildings have burned down and been rebuilt. The eastern pagoda, built in 730, is the sole remaining original construction. This round hall, meanwhile, is a totally new addition. It was built in 1991 to hold a portion of the cremated remains of the famous 7th century Chinese monk, Xuanzang (Jp: Genjō Sanzō). Another portion exists in a museum in India. That one was a gift from the Chinese government, but the remains at Yakushi-ji were taken by Japanese soldiers during World War II. I wonder how much that bothers China. On the one hand, the Party holds religion in contempt, but on the other hand, Journey to the West, the novel loosely based on Xuanzang’s travels, is a beloved classic. I guess it’s likely that most people simply don’t know about the remains being kept in Japan. I certainly had no idea. 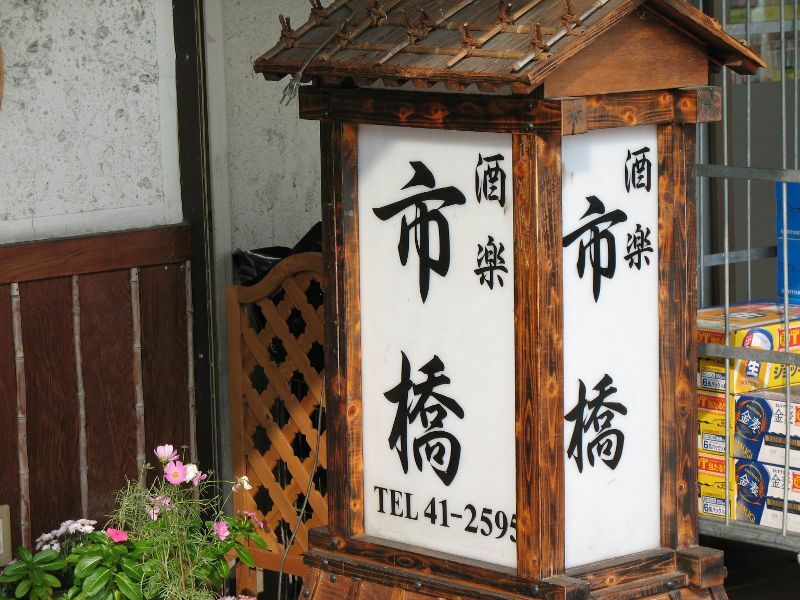 After poking around Yakushi-ji, I had lunch at a small restaurant called Shūraku Ichihashi. I can’t remember exactly what I had, but I do remember being struck by how low the price was for such good food. I’ve had better meals and I’ve had cheaper meals, but their ¥1,000 (~$10) lunch set was an outstanding bargain for the quality. Here’s a map. I should note that their dinner prices seemed much higher, so the restaurant is probably best for lunch. After my somewhat late lunch, my last stop before heading home to Kobe was at Tōshōdai-ji, a short walk north of Yakushi-ji. The main hall was completely walled off due to repair work, but this is the grave of Ganjin, the Chinese monk who founded the temple in 759. 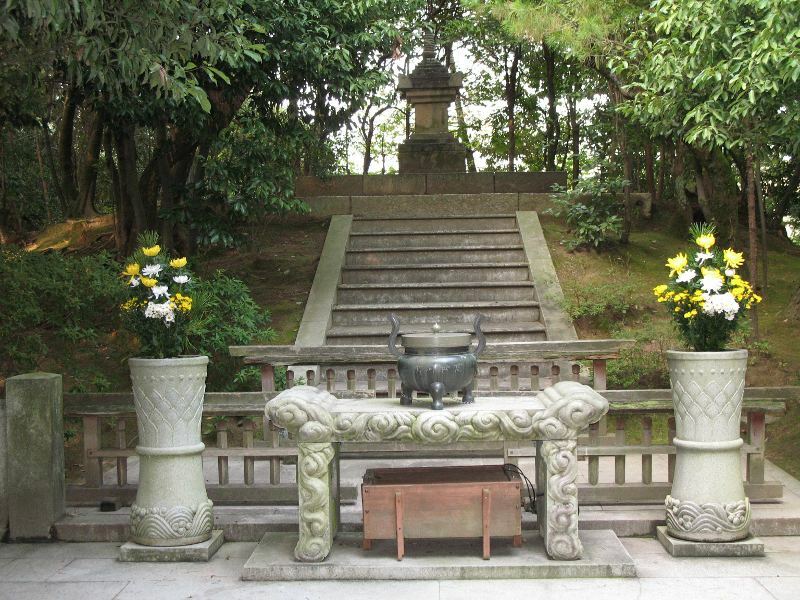 Ganjin (Ch: Jianzhen) was invited to come to Japan to share his knowledge of Buddhism. It took him six tries over the course of a dozen years before he finally made it across the ocean, and he had gone completely blind in the meantime. 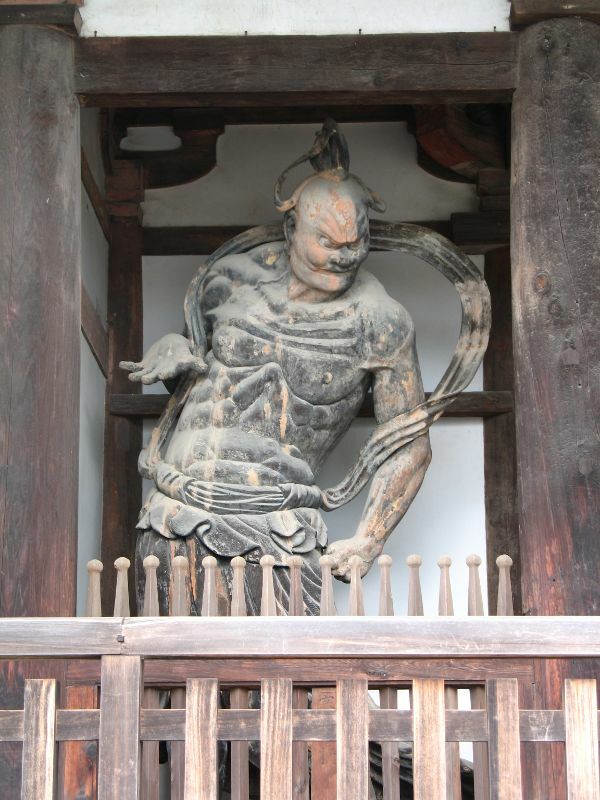 When Ganjin at last made it to the capital, Nara, he served for five years as the abbot of Tōdai-ji (the temple with the giant statue of Buddha), before retiring to a plot of land granted by the emperor. 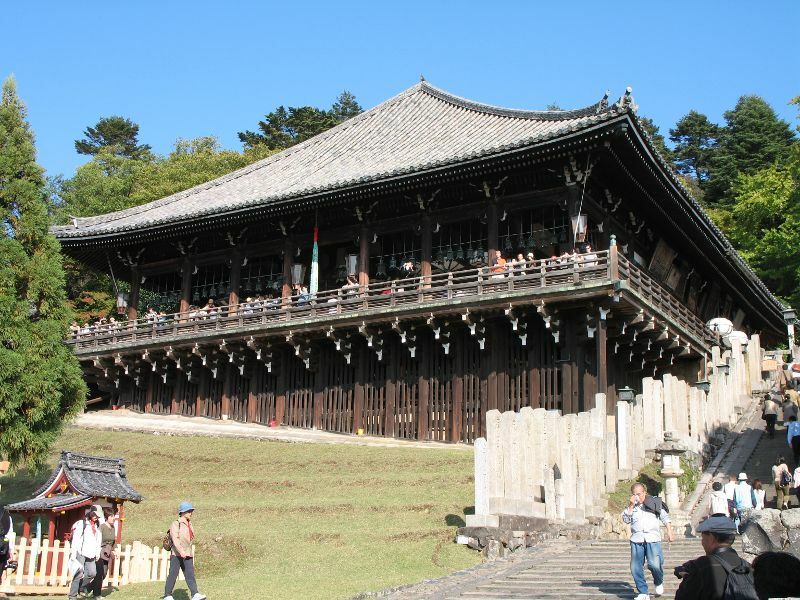 Ganjin then used the land to build Tōshōdai-ji. He died four years later. 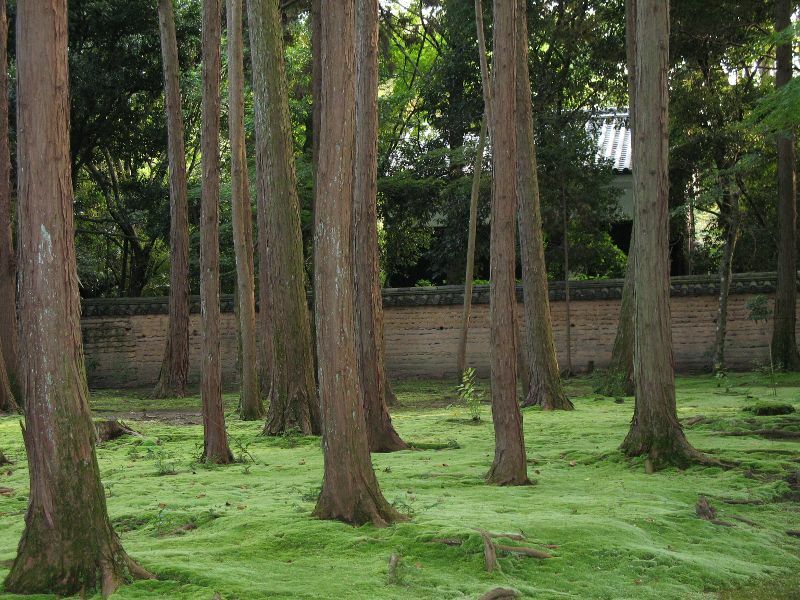 There’s a beautiful mossy grove between the grave and the rest of the temple. 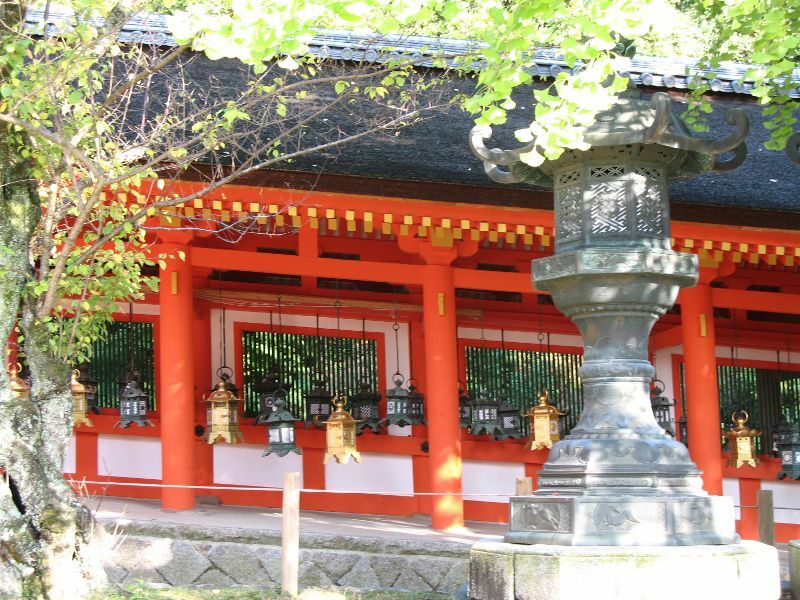 Even disregarding their cultural and historical value, Japan’s many temples and shrines are priceless just for all the green space they protect from encroaching concrete. 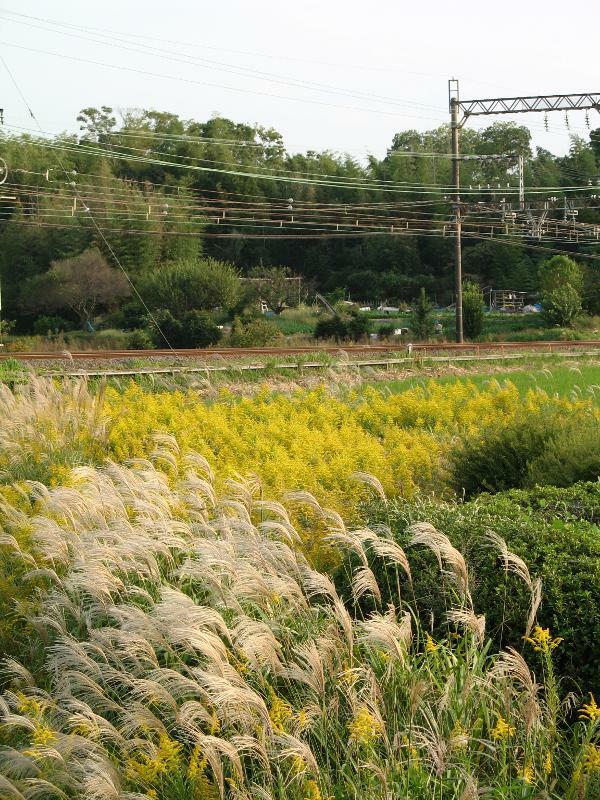 Not that there’s no countryside left in Japan. The walk to the nearest train station was quite nice. 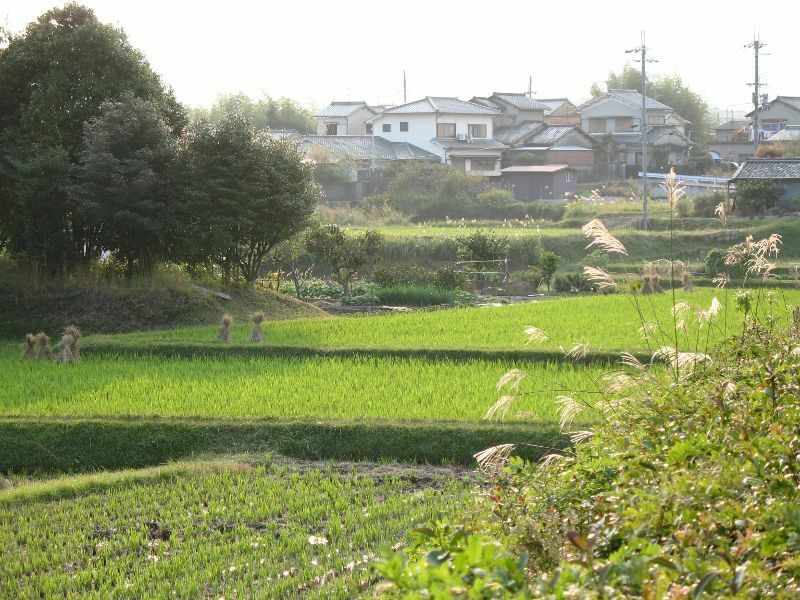 It was harvest time in the rice fields. …but then I came upon a particularly novel bit of protected greenery. This island is a giant, key-shaped burial mound. Scores of these were built as tombs for nobility from the 3rd century to the early 7th century. This one is officially designated as the tomb of Emperor Suinin, but I don’t know if there’s any evidence supporting that claim. 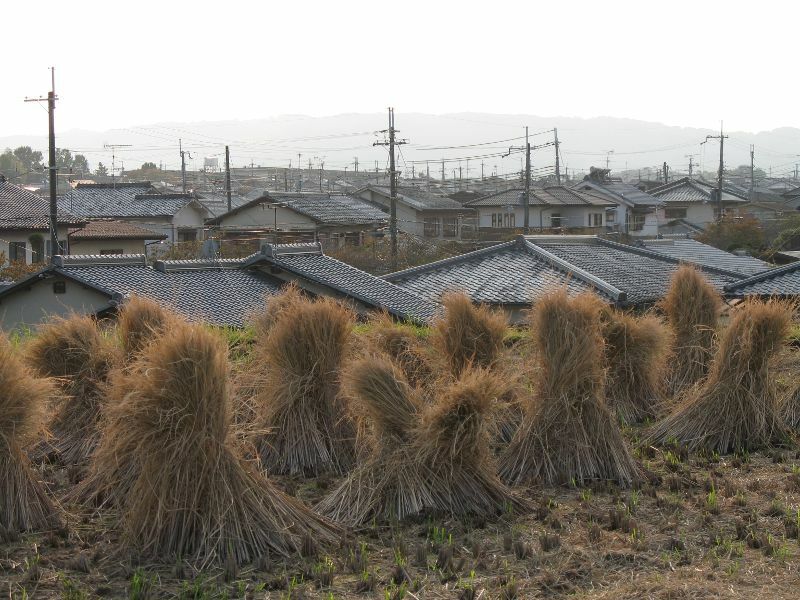 Japan’s Imperial Household Agency lists some 740 burial mounds as being imperial tombs, but excavations are forbidden and it’s widely thought that most of the designations – made in the 19th century – are spurious. A few actually are supported by historical and archeological evidence though, so they aren’t all made up. In any case, the mound is a literal island of greenery, and a sacrosanct one at that. So rather than being all for the sake of one dead man, the enormous labor that must have been expended to build the tomb ended up producing something that will benefit a great many people for a long, long time. 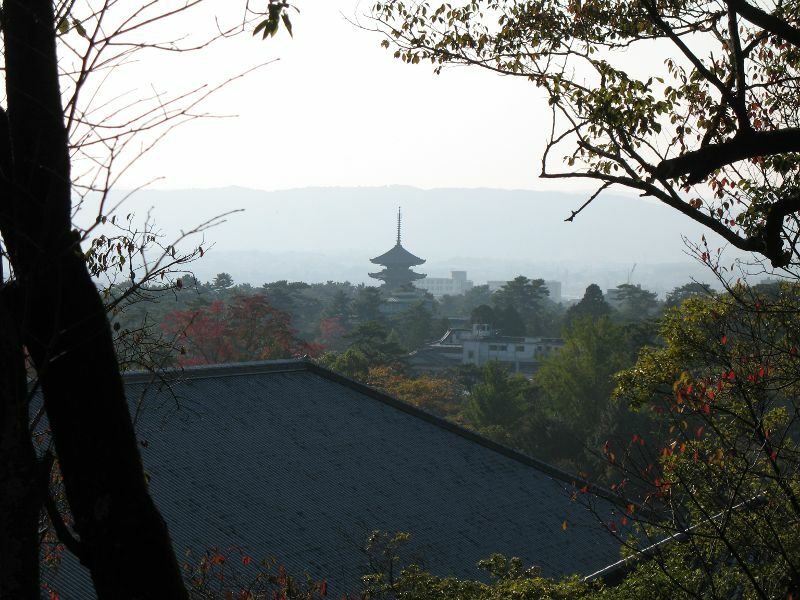 When I first visited Nara, I only had enough time to see a fraction of what I wanted to. I resolved to make another trip, and so I did. 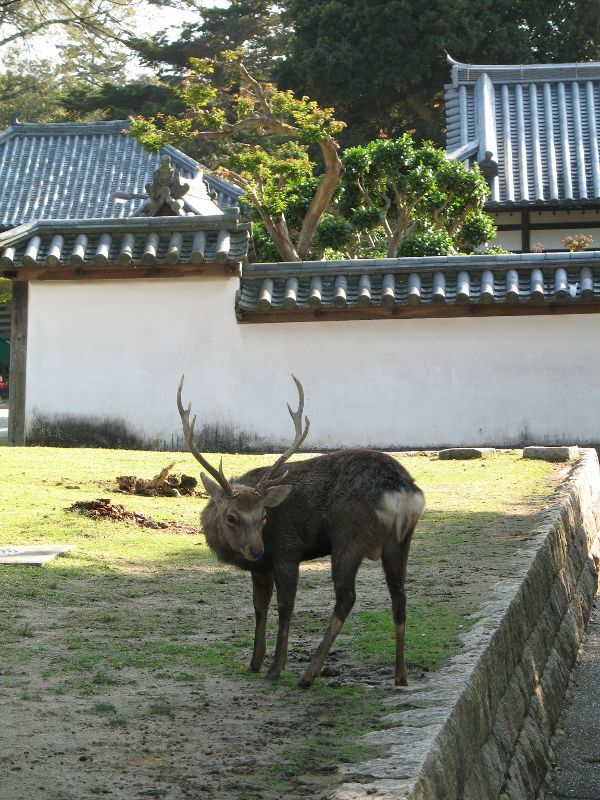 I revisited Nara at the end of October 2007, and this time I stayed at a hotel and made two days of it. 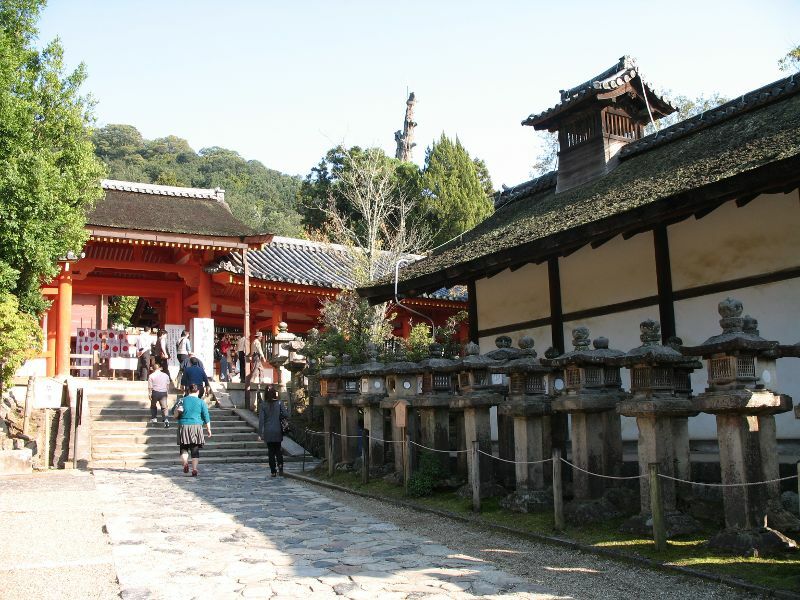 On the first day, I visited two sub-temples of Tōdai-ji – the temple with the giant statue of Buddha – as well as a major shrine and Nara National Museum. 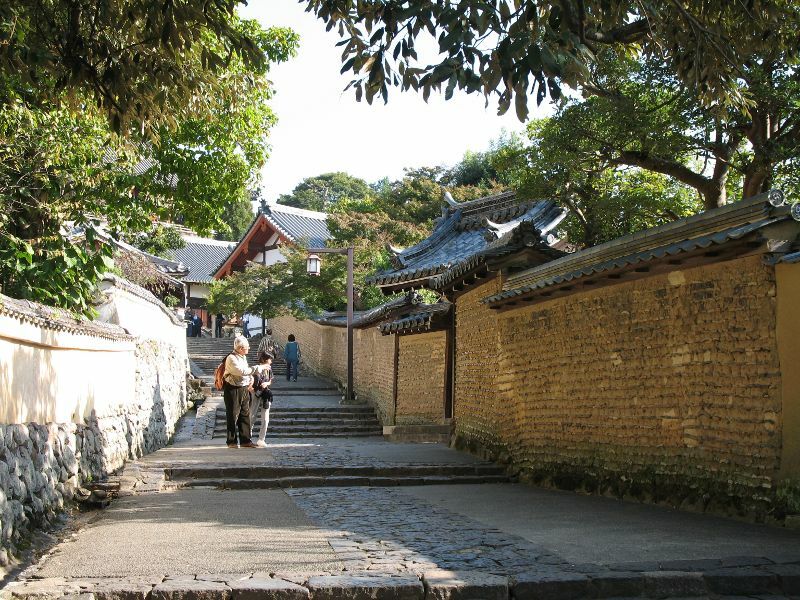 From the northeast corner of the Great Buddha Hall at Tōdai-ji, a path leads up the hillside to Nigatsu-dō, the larger of the two sub-temples. Nigatsu-dō means “Hall of the 2nd Month,” and while there are several buildings in the complex, only the eponymous hall itself is open to the public. Nigatsu-dō dates from the 8th century, like the rest of Tōdai-ji, but the hall was reconstructed in 1669 after being destroyed in a fire. “2nd Month,” refers to a group of ceremonies held here during the 2nd month of the old lunar calendar, which equates to around March. These ceremonies have been held every year since 752. 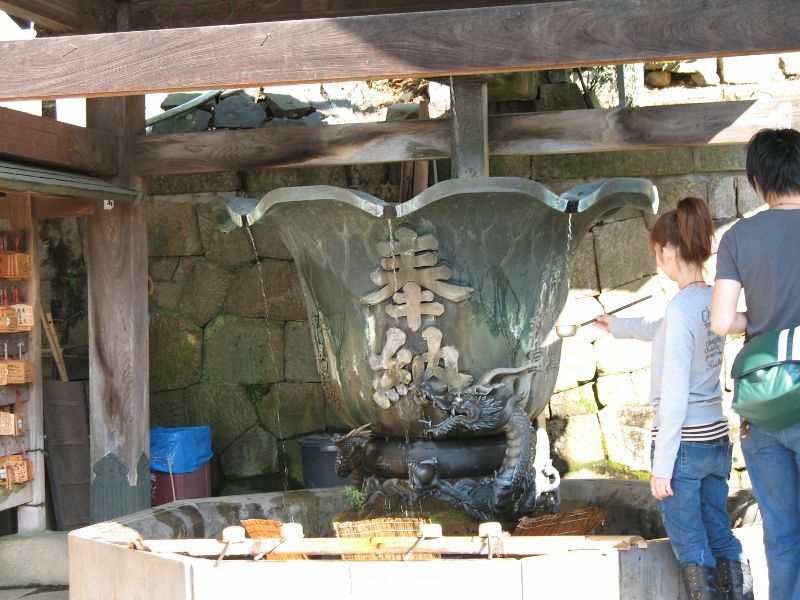 Along the stairs to the hall, there is a fountain for ritually purifying yourself by rinsing your hands. 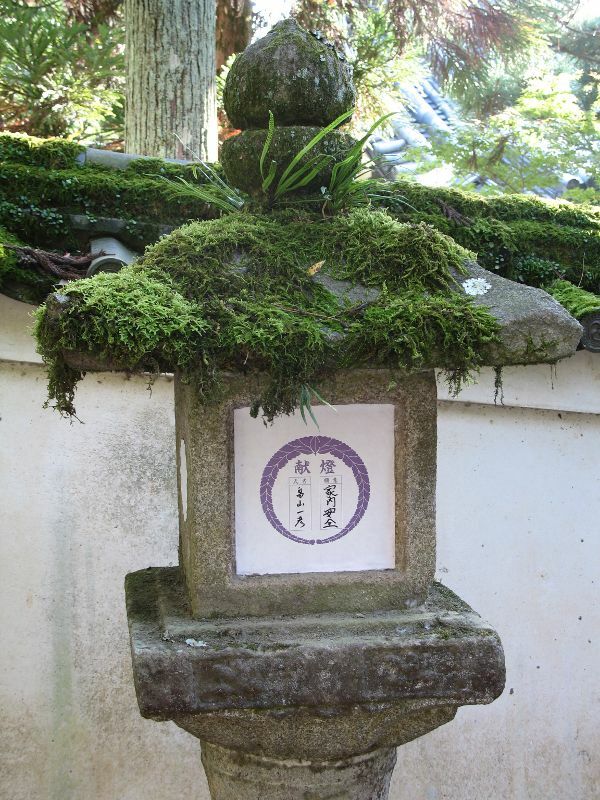 That’s a Shinto tradition, not a Buddhist one, but it sometimes shows up at Japanese Buddhist temples. Up at the hall, you can’t actually enter the building, but you can walk along the terrace. 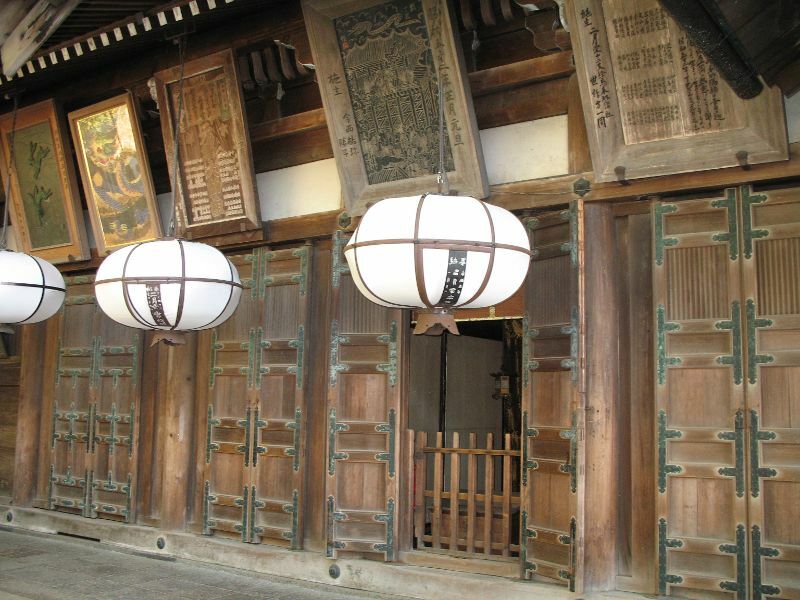 In addition to lanterns in a variety of shapes and sizes, there are placards mounted all along the eaves. Some have writing and others have pictures, and some are fairly new while others are very old. These two are nameplates (Nigatsu-dō is written “二月堂“), but as you can see, only the one on the left is still legible. On two neighboring buildings: Gargoyle tiles! They’re called onigawara (鬼瓦) in Japanese. I love these things. Back on the ground, I encountered one of Nara’s many free-roaming sacred deer. They get rounded up every October to have their antlers removed, but this guy must have evaded capture. It’s name comes from a ceremony held here during the 3rd lunar month. 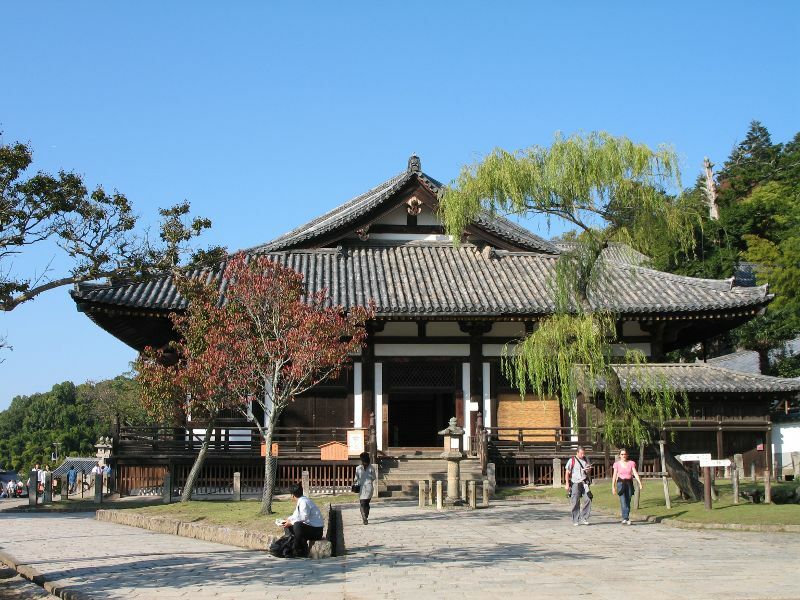 Sangatsu-dō isn’t as as well known as its neighbor, but it is said to be the oldest building at Tōdai-ji. It houses 16 statues, 14 of which date from between 729 and 749. The statues are in very good condition given their age, and 12 are designated national treasures. No photography allowed, alas. After taking a look, I continued south. 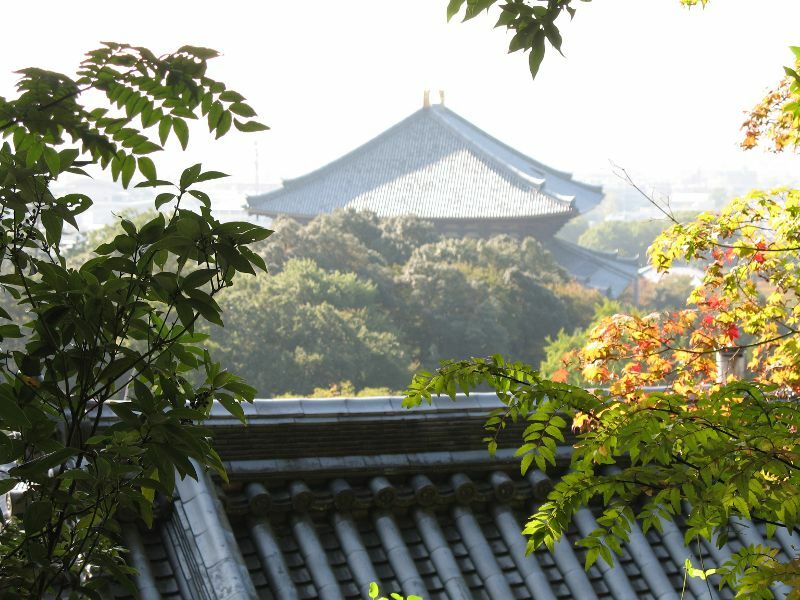 The hillside is wooded, but some spots allow for views over Nara. 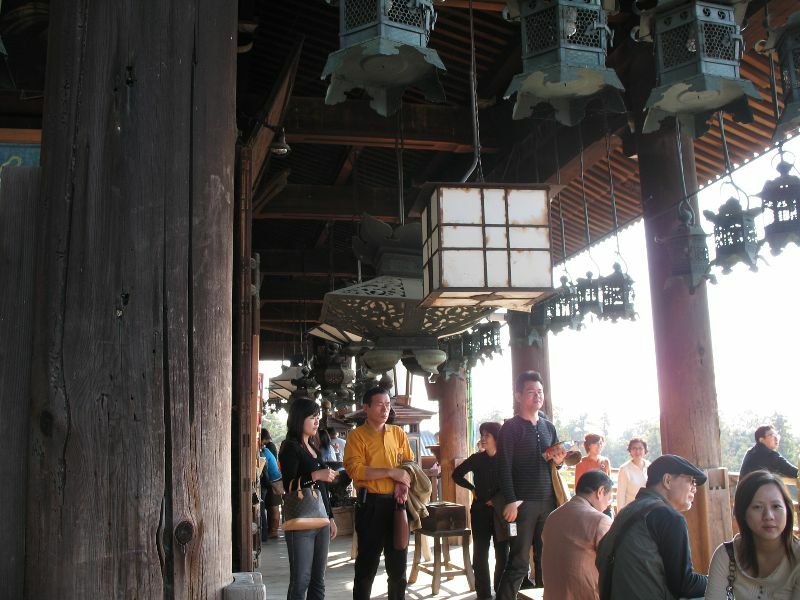 This is the Great Buddha Hall. 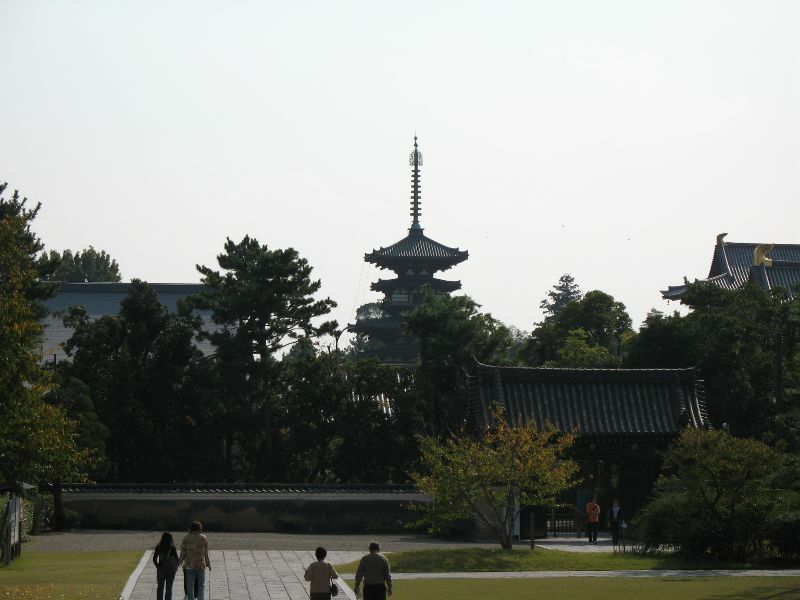 And here you can see the pagoda at Kōfuku-ji, the other temple I stopped by on my first visit. 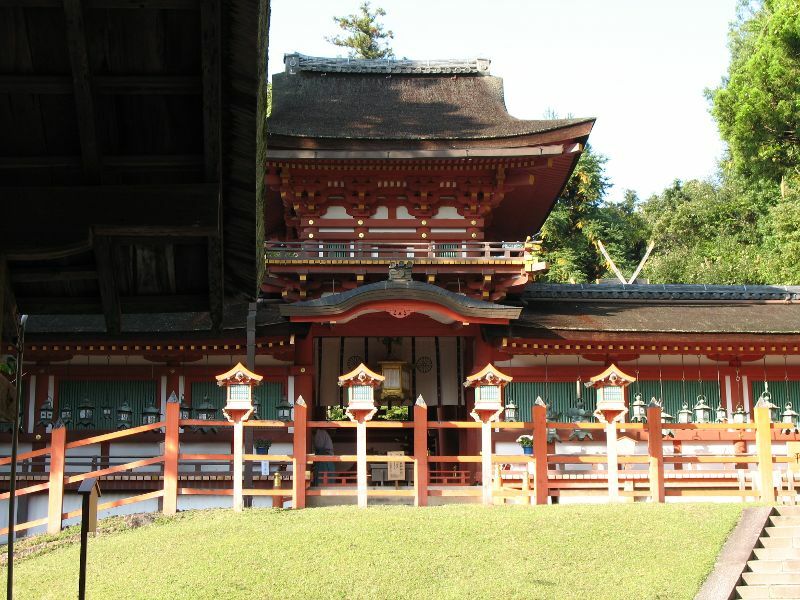 About 15 minutes farther south, in denser forest, is Kasuga Grand Shrine. This is a side entrance. 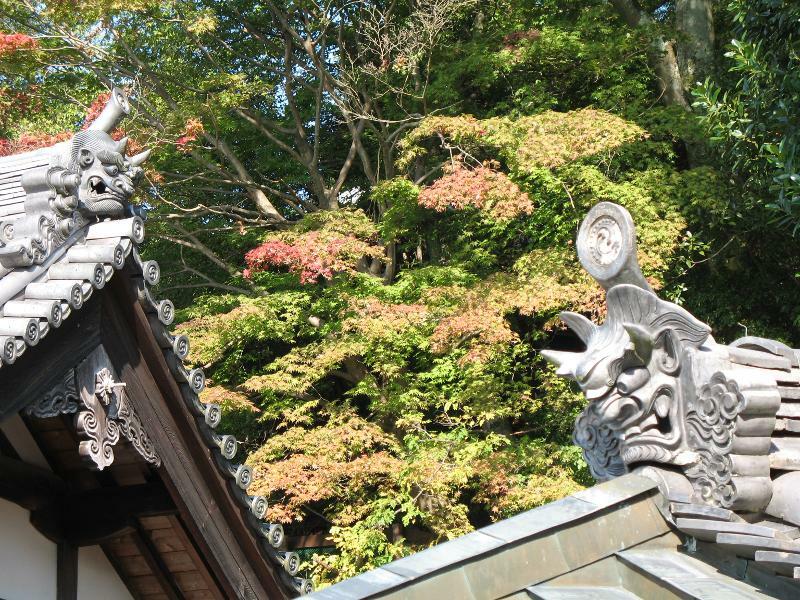 Kasuga Grand Shrine was founded in 768 as the tutelary shrine of the powerful Fujiwara clan. It’s home to some 3,000 lanterns. 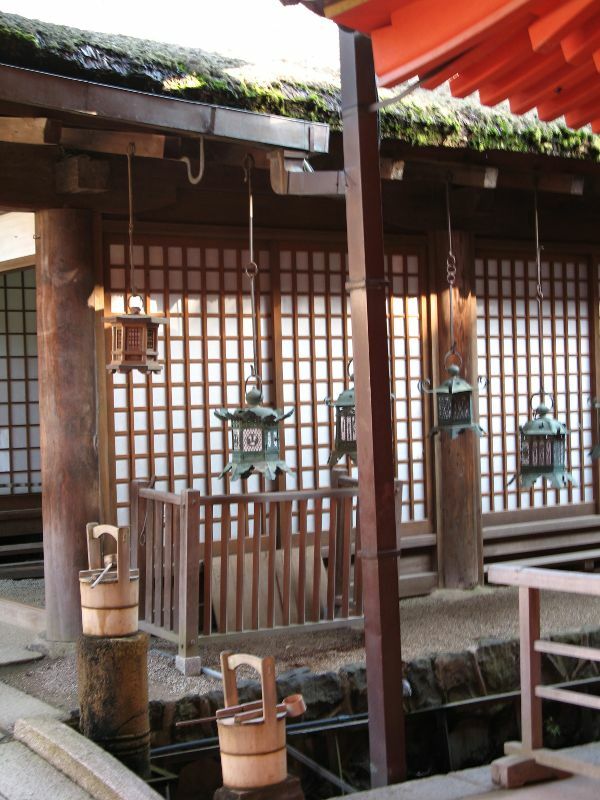 You can buy a paper to write your name and a wish, and then put it in one of the stone lanterns. This person is praying for the well-being of his family. 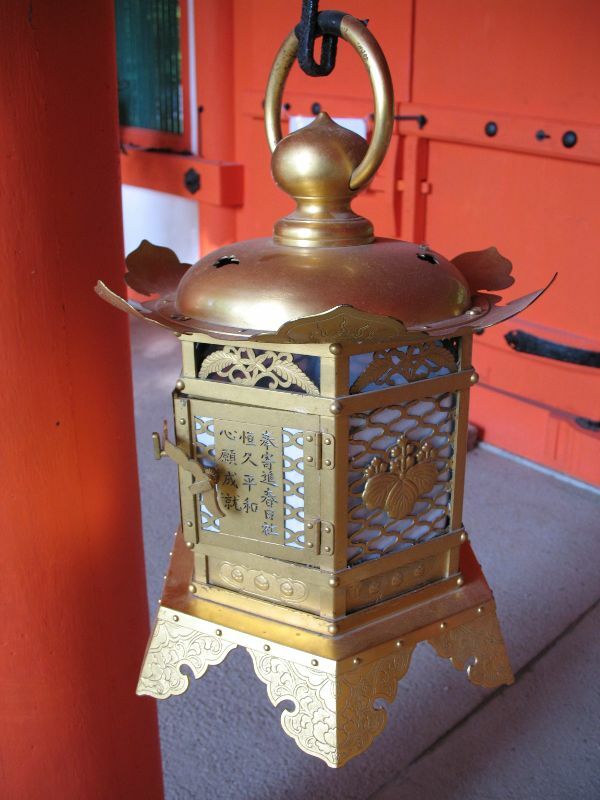 For a more permanent prayer object, you can have a bronze lantern made. Here’s a close look at one. These aren’t cheap, I’d imagine, but they’re hanging everywhere inside the shrine. At least they’re probably more affordable than a torii gate at Fushimi Inari Grand Shrine. 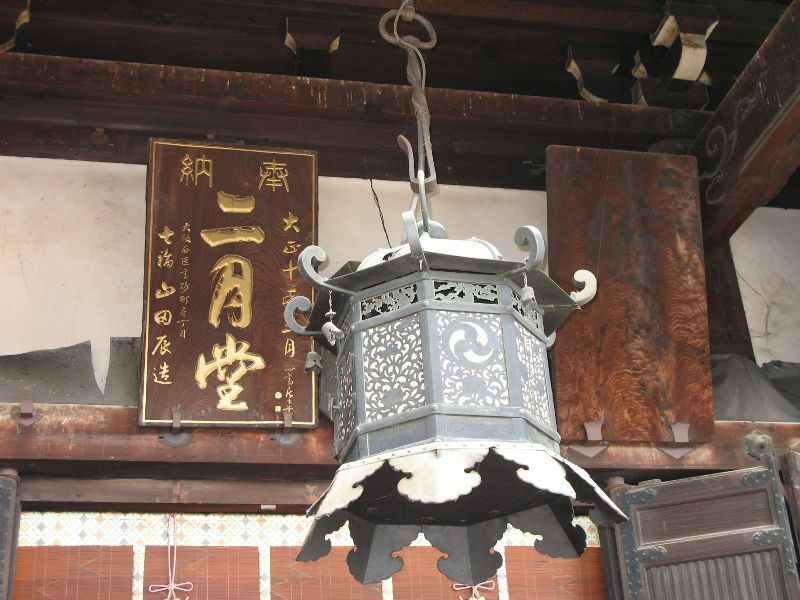 And hey, here’s a wooden lantern. On the left. I didn’t see any writing on it, so it probably wasn’t a prayer lantern. I wonder if there’s always a wooden lantern there or if it was filling the spot for a bronze prayer lantern. Hmm. At any rate, as for the shrine itself, this inner gate is as far as the public is allowed to go. You can, however, see a picture of the inner sanctuary at the shrine’s website, here. 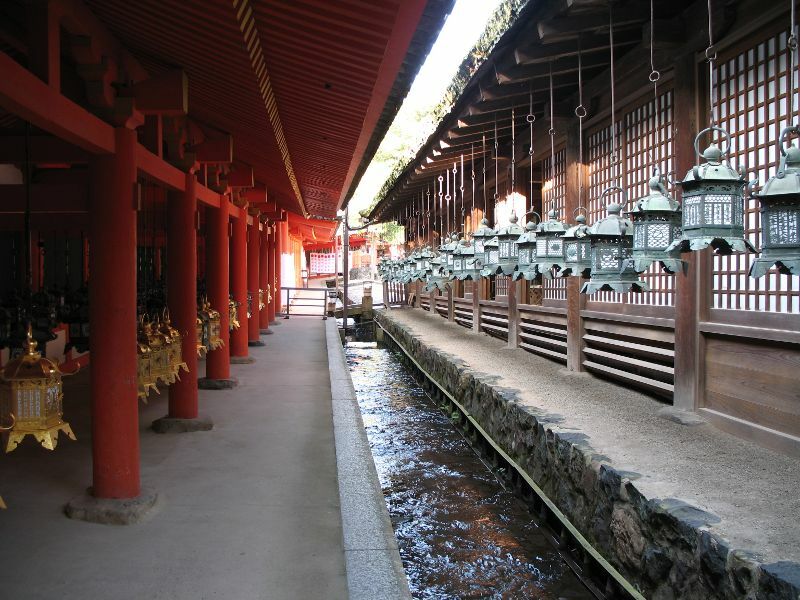 There are four kami enshrined in the sanctuary, hence four shrines. I left Kasuga Grand Shrine from its south gate and headed back into town. On the way, I happened upon the shrine’s Treasure Hall, a small museum that truly deserves its name. They had some outstanding artifacts. There are a few pictures here (click on the images for a better view). Back in town, my last stop for the day was at Nara National Museum, which was holding its annual exhibition of treasures from Shōsō-in, a storehouse belonging to Tōdai-ji (although the treasures are now administered by the Imperial Household Agency). The dedication of the giant statue of Buddha at Tōdai-ji was attended by monks and dignitaries from as far away as India, and the collection includes some fascinating Silk Road artifacts in addition to Japanese works. You can see a handful of the repository’s 8,874 items here. I ate at Miyako Kozuchi (京小づち), a restaurant that serves Japanese style Chinese medicinal cuisine, made from organic and mostly locally grown ingredients. The restaurant doesn’t have a standard website, but they do have a blog. This post shows what I ordered. The soup is made from the traditional Japanese stock based on kombu seaweed, shiitake mushrooms, and katsuobushi. To this is added egg, shredded nori (the dried seaweed used to wrap sushi), and green onion, as well as the very unusual ingredients of red rice and Silkie chicken. The chicken is called “crow-bone chicken” in Japanese (烏骨鶏, “ukokkei”), due to the inky color of its skin, flesh, and bones. To the right of the soup is, I believe, sesame pudding with wolfberries on top. Next is an assortment of Japanese pickles. Below that is a row of medicinal food to add to the soup – mostly seeds and berries, with pickled garlic and shiso leaf being the only things I could identify. The contents of the large plate may have been a little different for my meal, but as far as what is pictured, on the right is egg, green beans, taro root, and wheat gluten (the pink and green thing); in the middle is fish with citrus-doused sweet potato; and on the left is a lightly sweetened mix of soy beans, seaweed, shiitake, and konnyaku. The meal was delicious, satisfying, healthy, and novel. You can’t ask for much more. Miyako Kozuchi is located in a shopping arcade near the Nara-machi neighborhood. 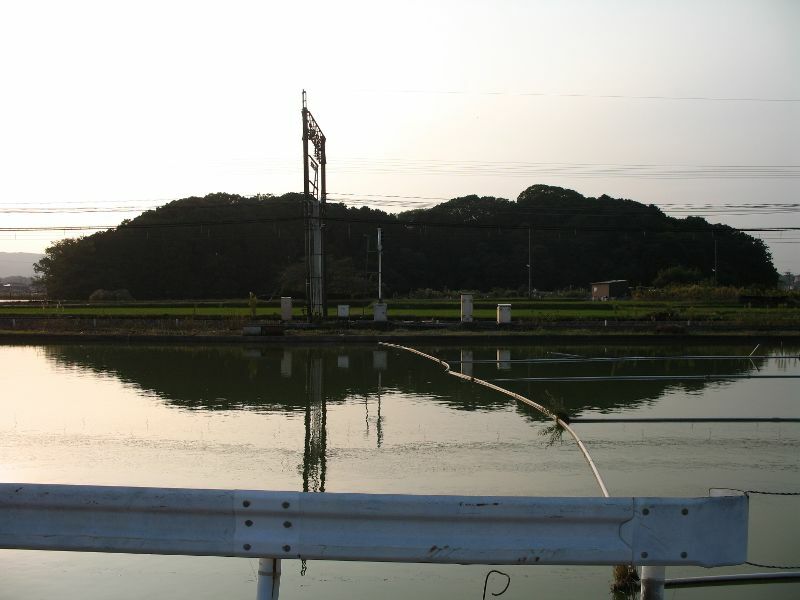 From the southwest corner of Sarusawa Pond (south of Kōfuku-ji), head south one block and then west one block. (The streets in this area are all narrow and there are many side streets, but I’m defining a block as ending at a four-way intersection. And if you’ve left the narrow streets and hit a main road, you’ve gone too far.) You should be at the shopping arcade. Head south and the restaurant will be on your right, just a few doors down. You can recognize it by the picture of a short-handled mallet on the shop curtain. You are currently browsing the Erratic Dispatches blog archives for June, 2009.